1. 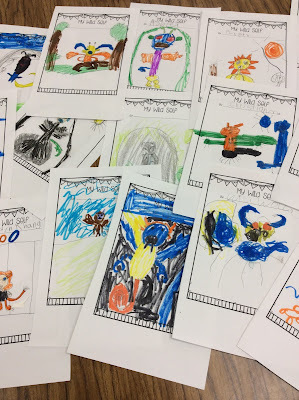 Using a great picture book, you can have students connect to the story by interacting in a building activity that coordinates with what they just heard. 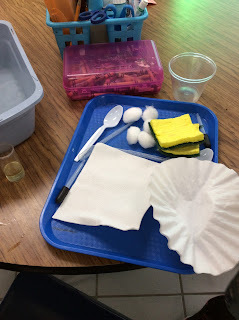 For example, we are learning about Solids and Liquids in our 2nd grade FOSS unit. I took the book Up Goes The Skyscrapers by Gail Gibbons. We used solids to create the tallest tower. We then wrote about it and reflecting on what worked and what could be modified. Then we tried again! 2. Another great idea is using an anchor chart to help you set the stage for learning. 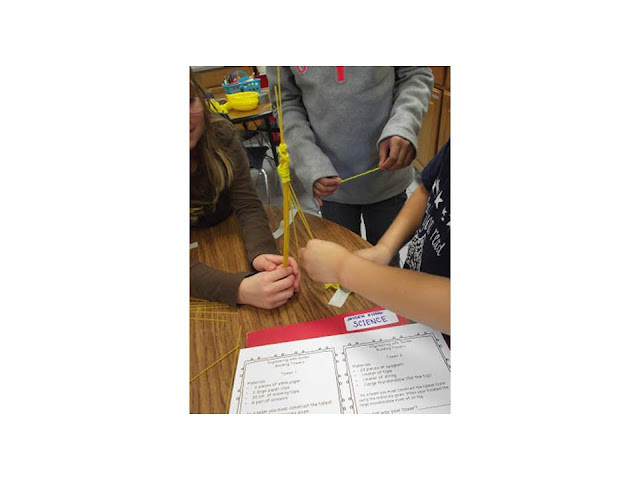 Use what you have to teach science and then pose a problem to the students so that they have to create a solution. Here is an example... I have to teach the FOSS Water unit. We created an anchor chart that has us try to figure out why water is so important in our lives. I posed the problem..."What would happen if there was a major catastrophe that would cause the water to be unsafe...like an oil spill? How could it effect the environment? What could be environmental engineers and figure out what we could do to clean up a spill." That started a great engineering lesson and an oil spill clean up. It was a great way to also start our water unit. Oil spill clean up supplies and environmental engineering challenge...Can you clean up an oil spill? How does this affect our water supply? Another great idea that was sparked by our Animal Adaptation unit was to create our own animal using the book What If You Had Animal Teeth? or What If You Had Animal Hair? by Sandra Markle. Both great introductions to how animal parts help them survive and defend themselves. It followed with an anchor chart of how animals have different hair and teeth and how it helps them. We then created an animal that protected their food... a piece of candy. A great internet game to connect is Build Your Wild Self ( I showed it on our smartboard and they drew what adaptation they wanted on their own drawing as I built my wild self. I discussed why picking that adaptation might help me. This helped them then create their 3-D model). 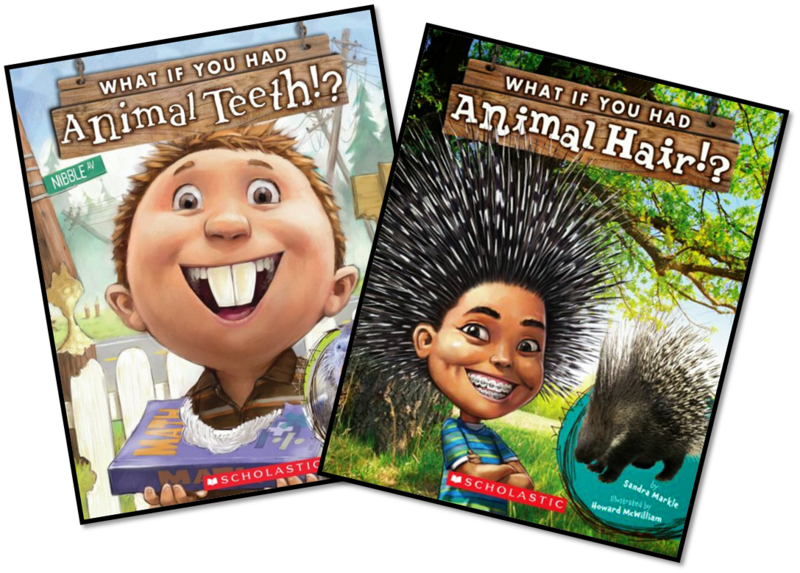 Great books to integrate reading, writing, and STEM! Here is their wild selves after picking ideas off the smartboard interactive as a large group. Here are the 3-D models. This is a great writing connection as well as an engineering project for any kindergarten and first grade classroom! 3. 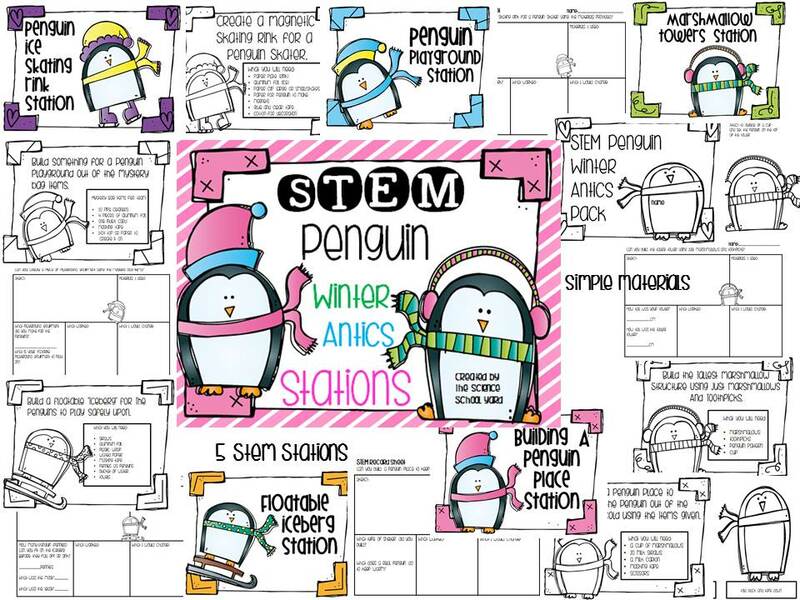 Another great way to integrate STEM into your classroom is incorporate it right around a holiday! I love integrating STEM during a change of seasons as well. STEM Winter Stations and STEM Valentine Stations are in the future and my students can't wait! 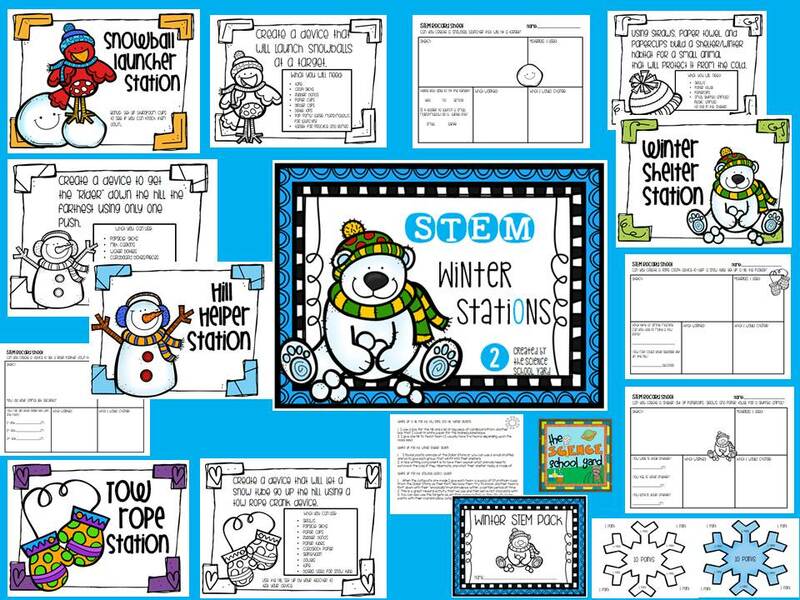 Here are the STEM packs I made this last month to get ready for winter and Valentine's Day. I am already getting set for ST. Patrick's Day and Easter! Stay tuned! STEM Penguin Winter Antics Stations great for theme days or reward days! 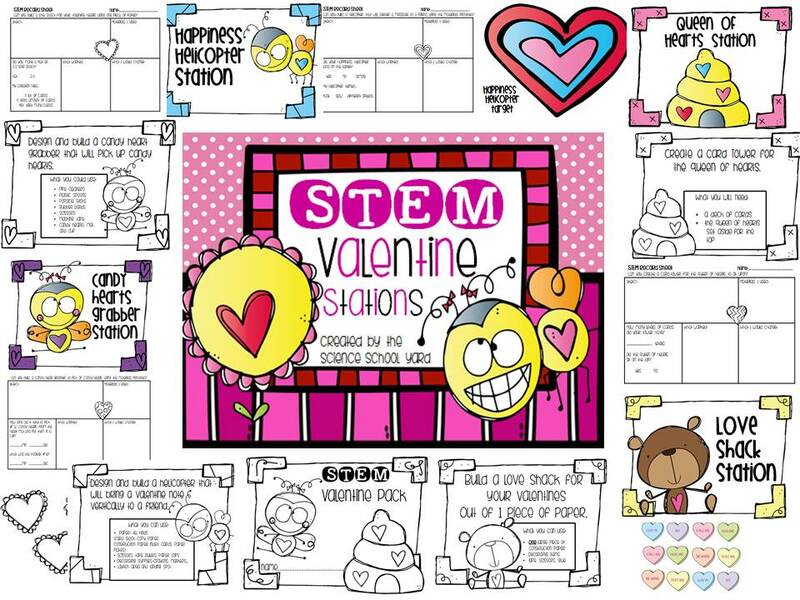 STEM Valentine's Day Stations to integrate four fun STEM stations into your school day! STEM Winter Stations 2 is a great way to have some winter indoor fun! Find a great book, create an anchor chart, and then set up a supply station or have the supplies already set for the kiddos and you are set! Science made simple! 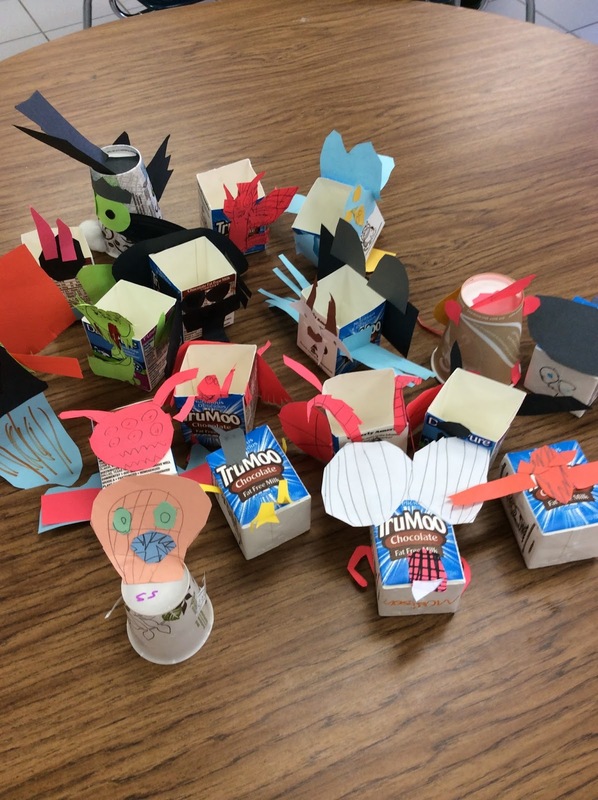 Have a STEMtastic New Year! And remember there are always ways to add science and engineering into your school day!